Enjoy 50% off your food from 5pm every Monday. 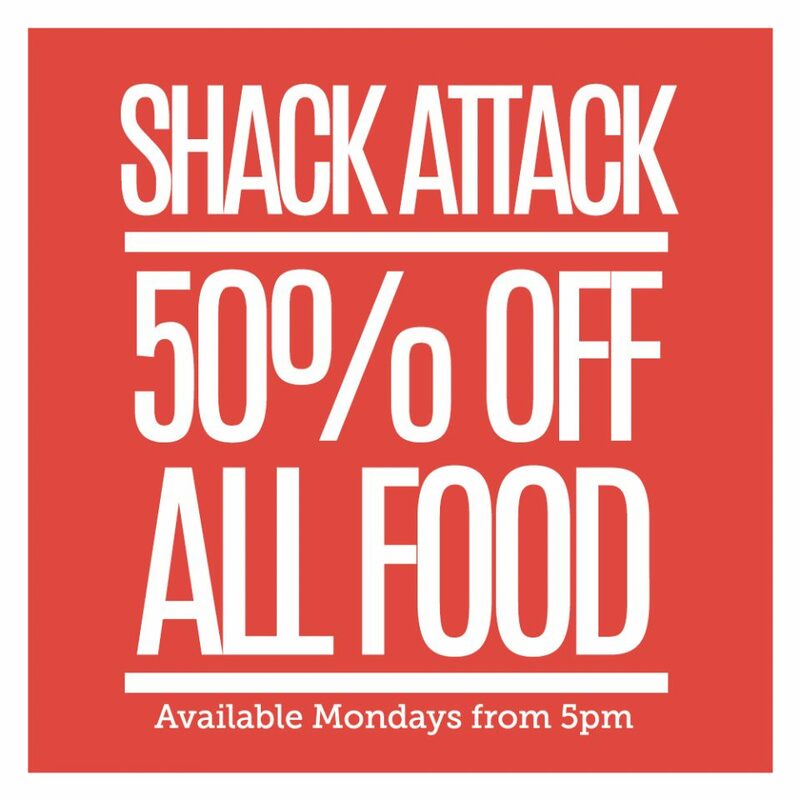 We do not take bookings for Shack Attack Mondays. Please feel free to drop by and we will ensure to slot you in.